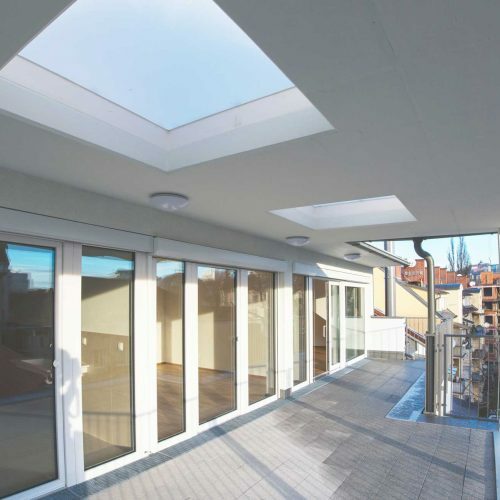 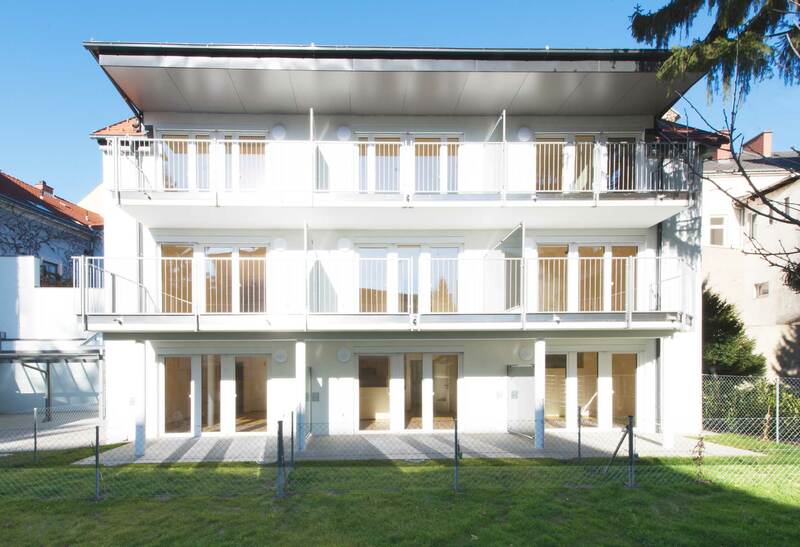 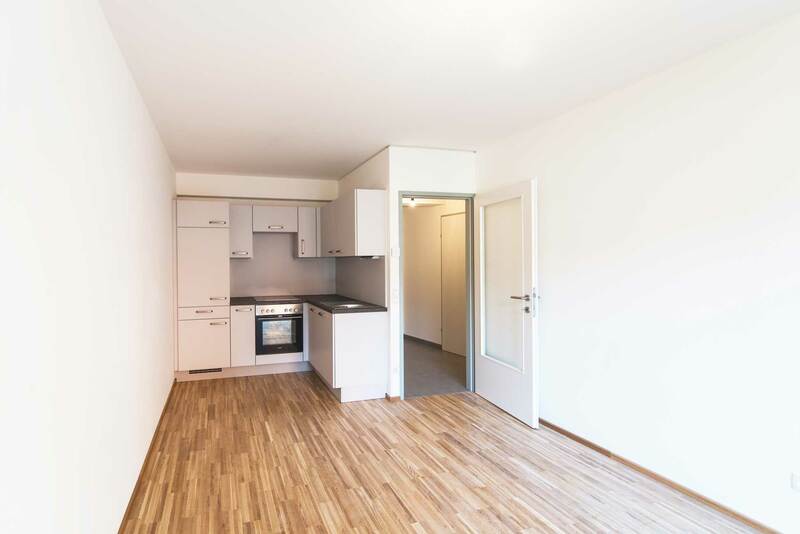 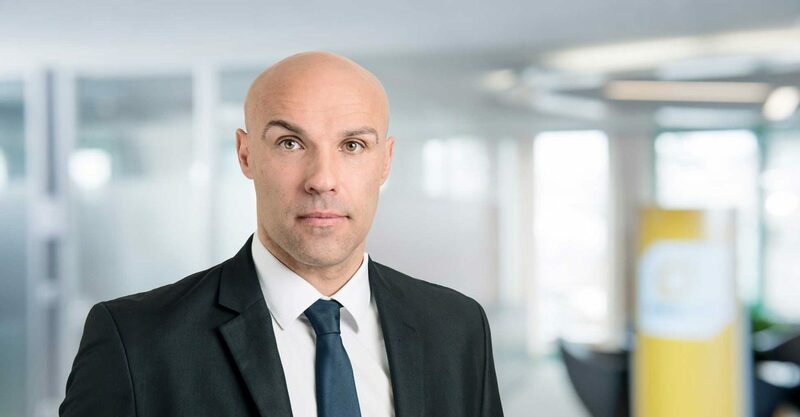 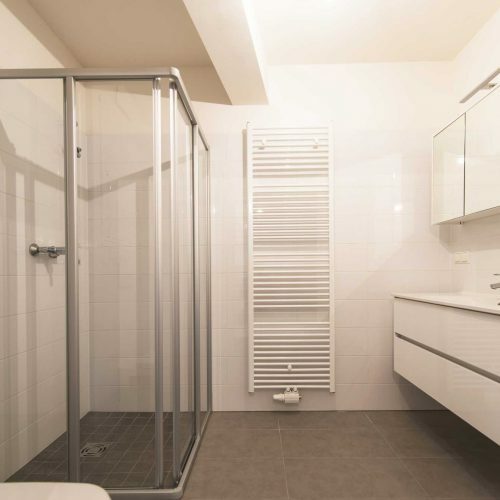 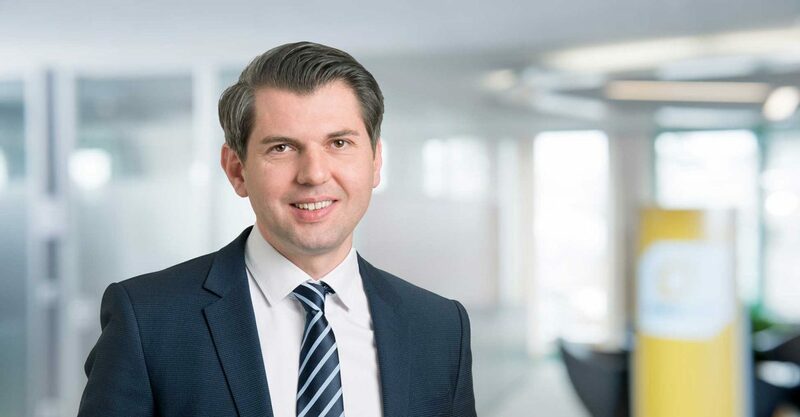 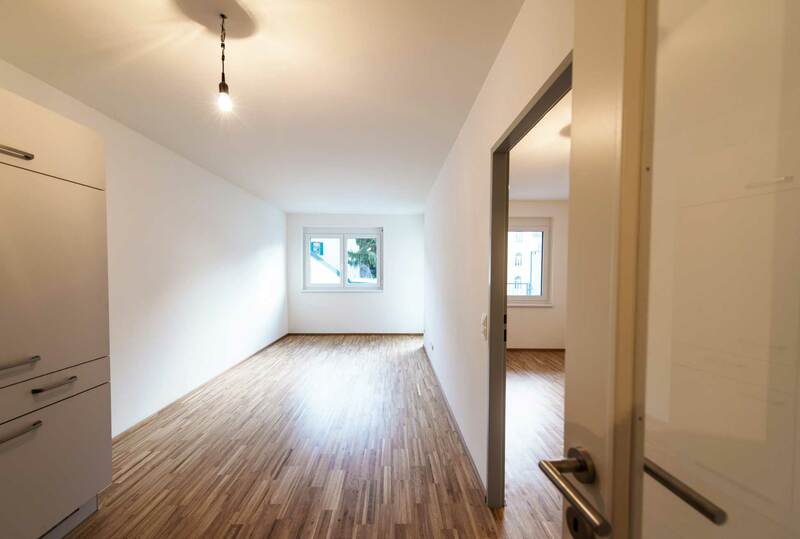 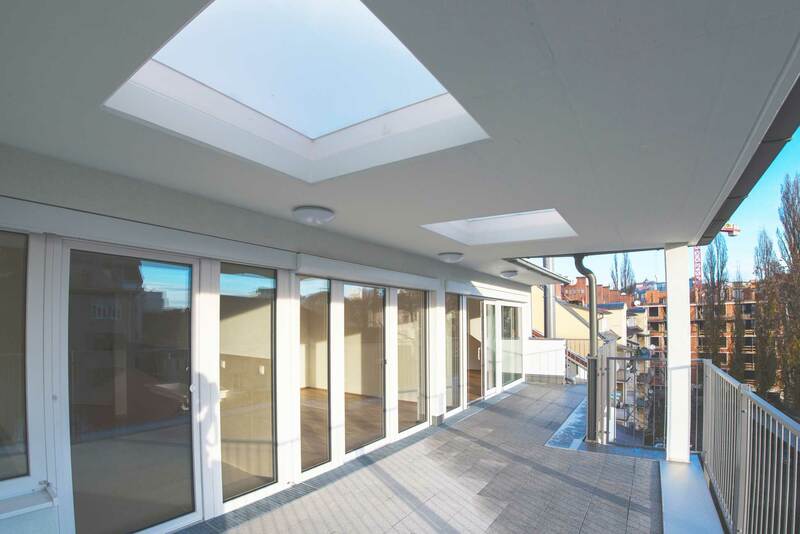 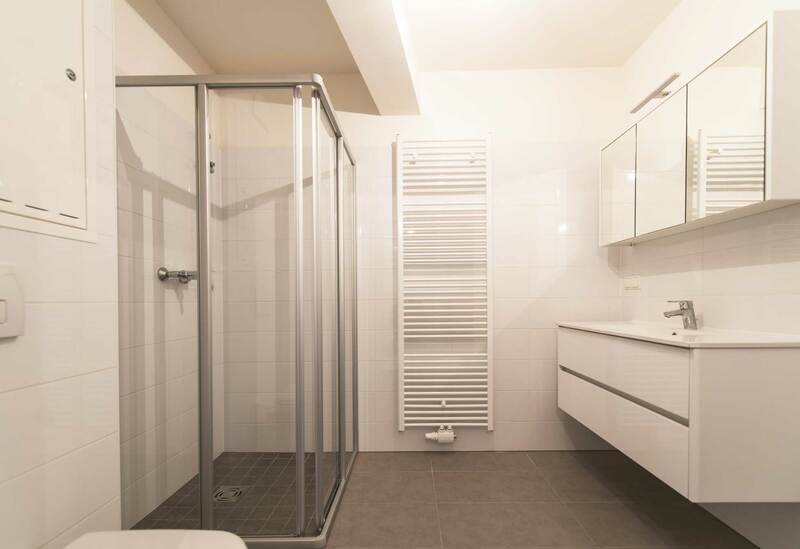 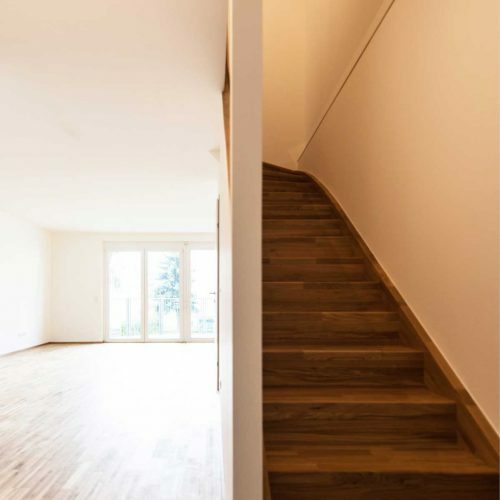 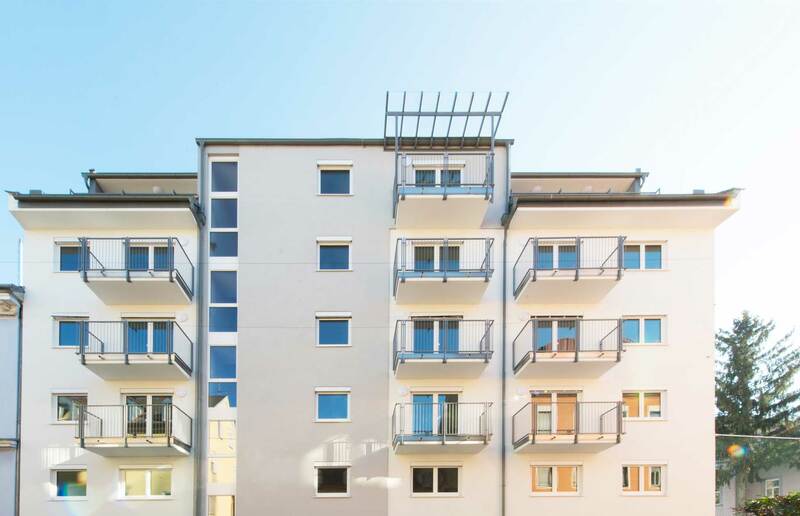 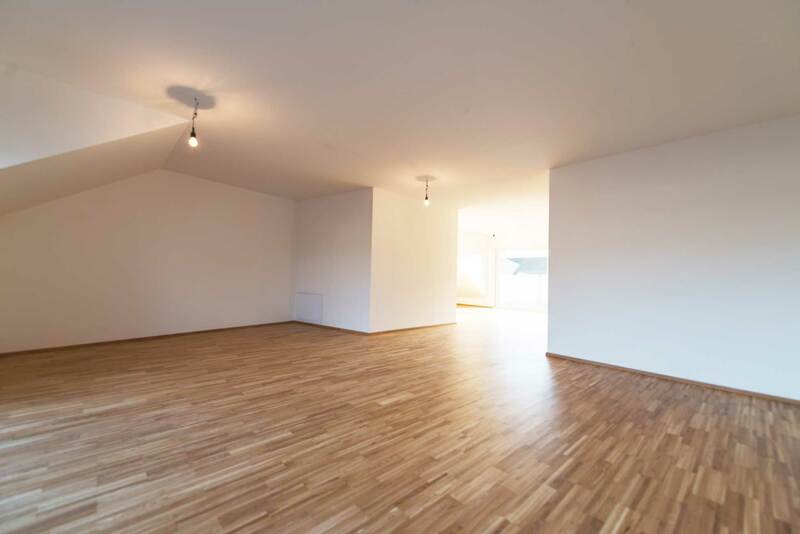 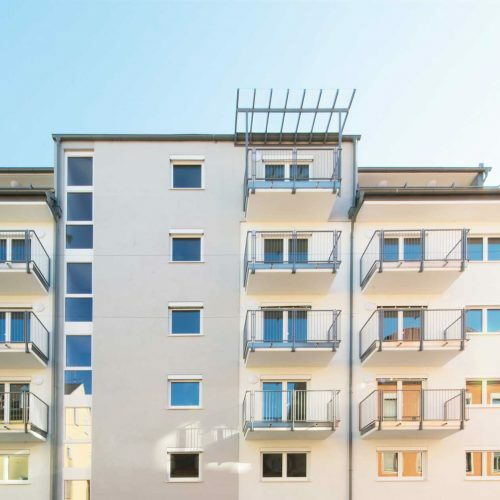 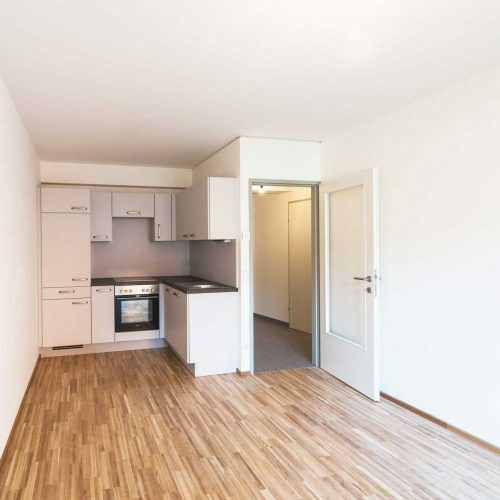 The project “Stadtraum” consists of two structures with a total of 41 apartments, which you can purchase both for personal use and for prevention. 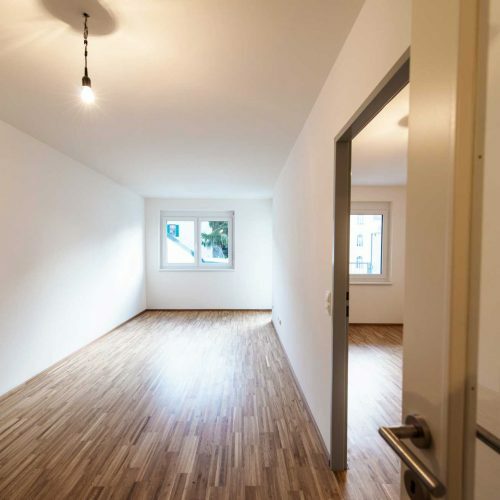 Individually designed accommodation units are created: homely 2-, 3- and 4-room apartments, urban duplex apartments and penthouses. 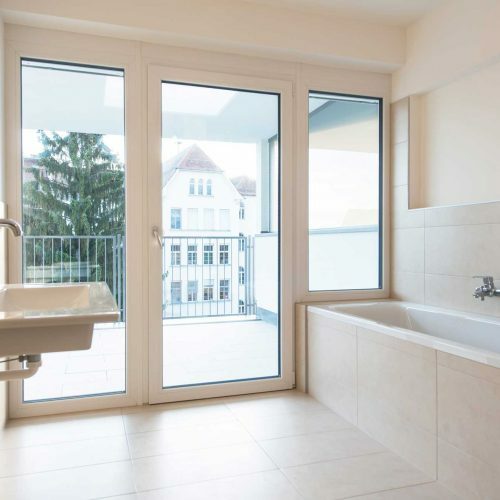 Whether for singles, couples, or families, the various apartment types allow a wide range of opportuinities to use. 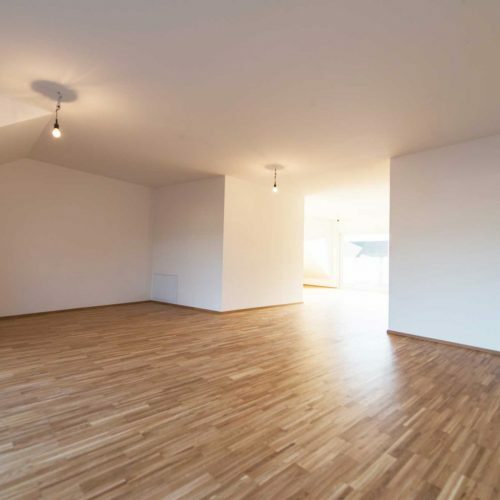 Light-flooded floor plans provide an exceptional living experience in an urban location. 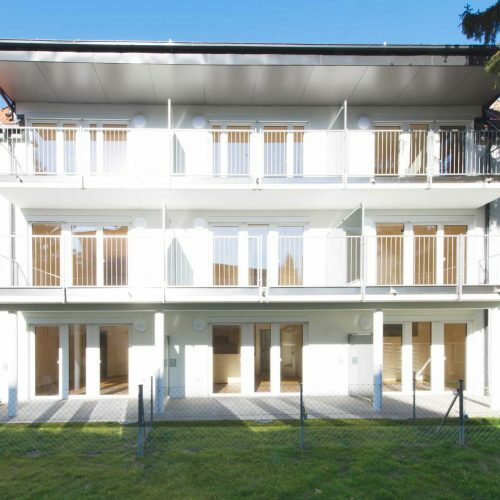 Outside their living rooms valuable recreational areas and additional outdoor spaces designed by idyllic balconies, terraces and their own gardens are also available to the residents. 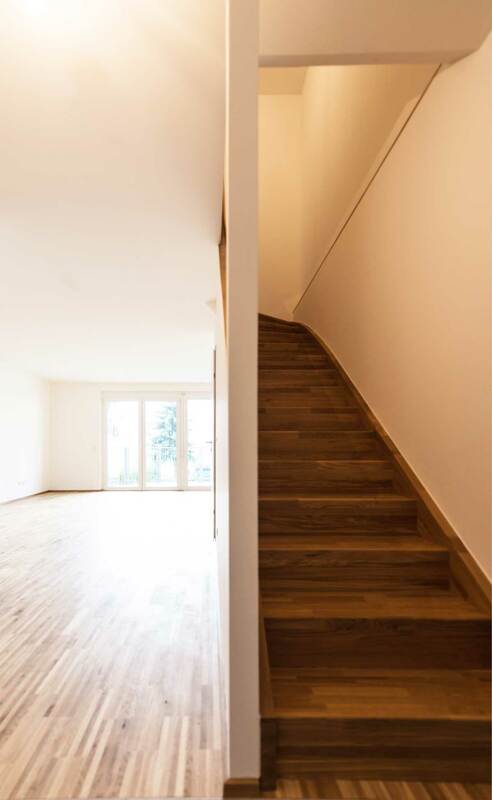 The lift system in the main house offers comfortable and barrier-free living for everyone.21 underground parking spaces in 2 basement floors, which can be purchased independently from your apartment, provide further comfort. 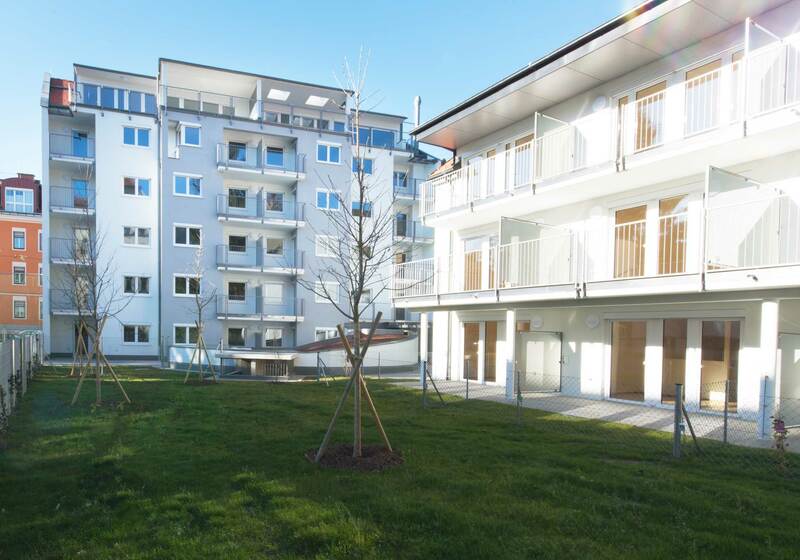 „Stadtraum“ is characterized by its proximity to the city center and the direct location on the river Mur. 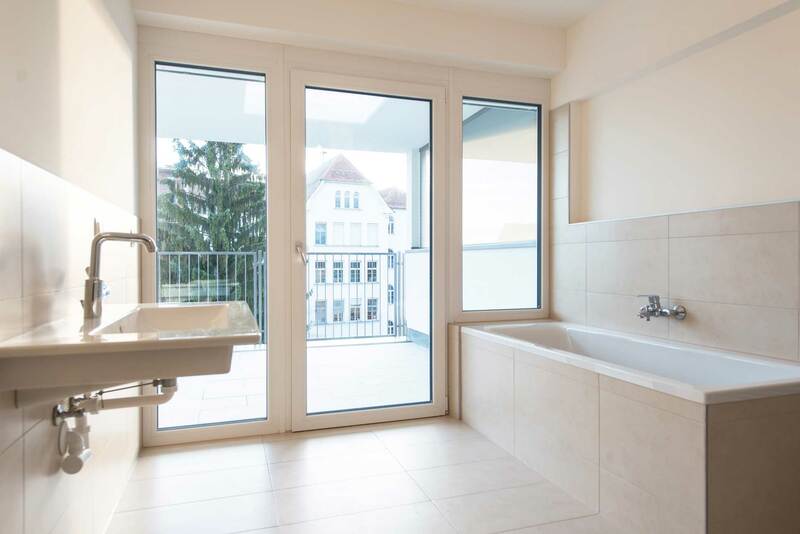 Immediately nearby the apartments are numerous local suppliers, restaurants, medical centers, kindergartens and schools. 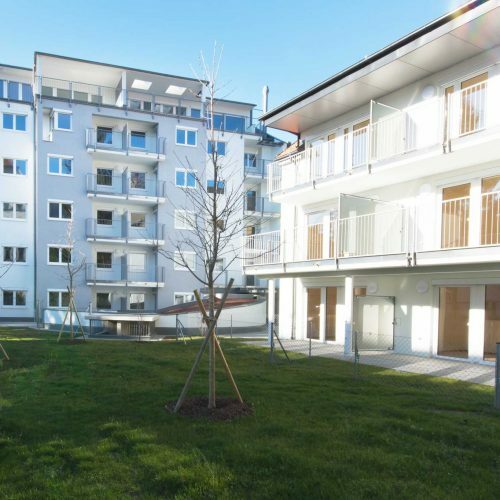 The nearest bus stop, Herrengasse, and Jakominiplatz, as a central transportation hub, are reachable within a few minutes.